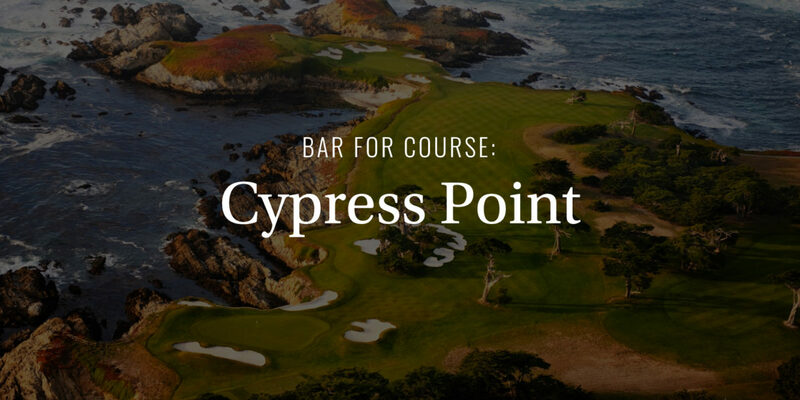 Everyone knows about Cypress Point. The history, the exclusivity, the cadre of Hollywood legends who’ve done a little swinging there, literally, and quite possibly figuratively as well. I mean, that Bing Crosby wasn’t one to turn in at nine thirty with a cup of warm milk. And the last four holes overlooking the Pacific? Forget about it. The stuff of legend, pure and simple. And with its small member’s list and strict rules, getting a tee time as a guest isn’t impossible, but it’s pretty darn close. But even more mysterious, even more carefully guarded, is the recipe to the club’s infamous Sam’s Special cocktail. The signature drink of Cypress Point, it was actually created by “Sam,” the long-time club manager and brother of Joe Solis, a caddy master who first started working at Cypress Point in 1932. Over the years, the club has hosted everyone from J.F.K. to Eisenhower, Charlie Chaplin to Clint Eastwood, and the “Sam’s Special” has been enjoyed by many, if not all, in the cool white wood of its elegantly understated clubhouse. Granted, a whiff of Monterey sea air, the smell of warm cypress bark, and a spritz of Errol Flynn’s cologne aren’t included, but if you can find them, they might make a damn good garnish.